How much can an author make? That question comes up a lot and the answer varies greatly, from about $0 (or even losing money) to millions of dollars. But understanding a bit about how authors are paid can help with gaining insight regarding what the book bottom line can be. For most authors, their fee and royalties are negotiated by an agent or other representative. Even when you know the ins and outs, it's best not to try to handle the terms of a contract directly with a publisher. Authors spend many long hours researching, developing, writing, and re-writing their books—and there is a cost associated with time. Some books require an actual monetary investment by the author—for example, in travel for research or, in the case of cookbook authors, money spent on ingredients for recipe testing and the cost of photographing food. The type of book the author writes affects the income potential. Novel or nonfiction? Current (and easily dated) or evergreen (and a perennial backlist selection). A fictional character whose adventures run to many books or a nonfiction topic that "backlists" increases the income potential for an author. Authors who make a deal with one of the Big Five book publishing houses or some of the larger independent publishing houses are generally paid a percentage royalty for each book sold and are given an advance against those royalties up front, before publication date. This is negotiated by the agent and/or author and then made a contractual obligation. The amount of the advance is dependent on a number of factors including but not limited to: the author's publishing and sales track records, how "hot" the topic of the book is, a general feeling on the part of the editor/publisher and others involved in the process of how special and salable the book is when taken in its entirety (ex. writing, story, flow, etc), and very importantly, the author's platform/s. Learn more about how traditional book advances and royalties are calculated. Learn more about growing your author's social media platform. It's fair to say that most self-published authors do not break even with their publishing costs—this is based on the fact that the average self-published author sells fewer than 200 copies and likely laid out at least some cash to publish in the first place—for example, in freelance editorial services. That said, a self-published author who produces a high-quality book knows the market for the book and how to reach that market, and puts the required resources into doing so has a good chance of seeing some returns on their author investment. 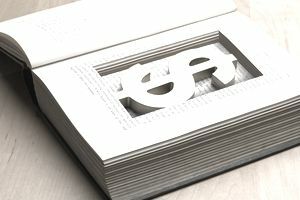 In some cases, self-published authors whose books get sales traction can parlay that (if he/she wants) into a book deal with a traditional book publisher. Amanda Hocking is a paranormal romance author who made millions of dollars selling her self-published e-books and then went on to get a multi-million dollar book deal from St. Martin's Press. Donna "Faz" Fasano wrote for traditional publishers and then became an indie author. As an indie author, she was a shrewd marketer, made a good living, and eventually returned to being traditionally published.